Petite metal floor lamp. 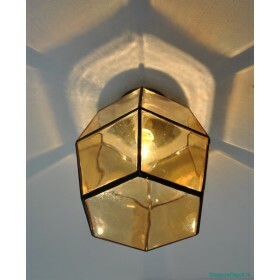 The colour of the lamp is ocher. 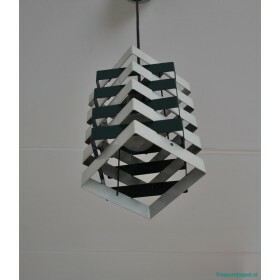 The height is 120cm and t..
Sixties pendant designed by J. Hoogervorst for Anvia. White and green aluminium. 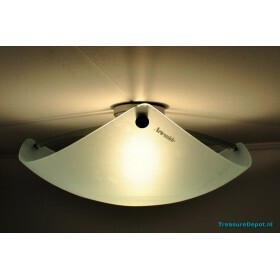 The height is 21c..
Mini bow lamp by Anvia Almelo. The diameter of the sphere is 15cm and the total lenght of the lamp ..
Seventies ceiling lamp by Ernesto Gismondi for Artemide. There are 3 sizes of this model, this one .. Balloon light designed in 1975 by Yves Christin for Bilumen, Italy. 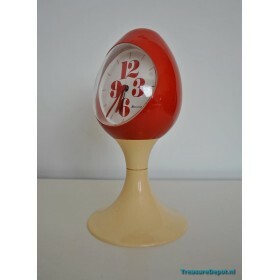 This can be a wall or ceiling l..
Iconic alarm clock, in plastick, red and creme coloured. The height is 23cm. The clock is in good ..
Glass with lead ceiling lamp made by Bohmer Germany. The height is 26cm and the diameter is 24cm. 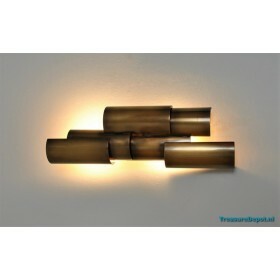 ..
Modernist wall lamp and sculpture all made of brass. Position horizontal and vertical possible. Th.. Brand Carrera Type 5595 Period Eighties, made in Ger.. Desk designed by Cees Braakman for Pastoe, begin sixties. The desk is part of the Japanese serie. 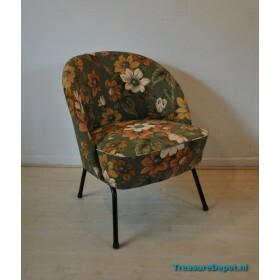 ..
Ladies club chair with flower pattern fabric. 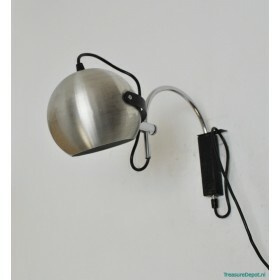 The height on the back is 68cm and on the front ..
Chunky wall lamp by Cosack Germany. The metal holder is gold coloured. Thick glass. 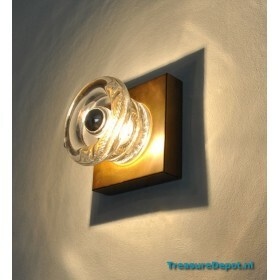 15,5 x 1..
Beautiful plexiglass wall light from the seventies. 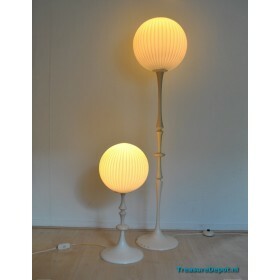 The light gives a fantastic light effect on the..
Petite floorlamp, off-white metal with white glass sphere shade. 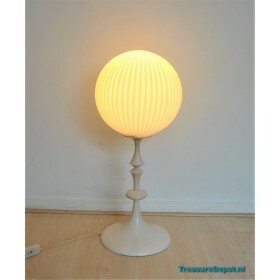 The height is 126cm and the shade ..
Petite table lamp, off-white metal with white glass sphere shade. The height is 58cm and the shade ..